Goldstarway license here on the largest online electronic stock exchange of CFDs and Forex in the world. Goldstarway, based in Wyoming, USA, is an AtcForex Wintrader affiliate and business software provider. If you start using Goldstarway software to join the stock market, you are also a client of one of the most important operators to the stock market. The Goldstarway project was established in 2004 and keeps pace with new trends in the industry each year. Clients from all over the world are provided with service and technical support in English. The GCI Financial Ltd is a trading operator with a turnover of tens to hundreds of billions of dollars a week. It uses technical background and servers for its operations and client accounts directly in the US, the state of New York. It interconnects its financial derivatives with the parcel of the world's largest stock exchanges (NYSE, CBOT, and others). Client accounts are held by renowned banks (JP Morgan, ING, Commerzbank ..). They are securing online their positions in hundreds of millions of dollars. Your finances are in accounts that are separate from the company's capital and insured, the process of dealing is at the highest standards in the industry. GCI Financial regularly participates in major events such as the Forex Expo in Moscow. 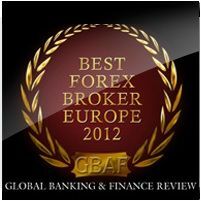 In 2010, GCI Financial won the Best Retail Broker and Best Forex Broker at Forex-Ratings.com in 2011. In 2012 GCI won Best Forex Broker Europe 2012 from the prestigious Global Banking & Finance portal. In 2013, GCI Financial was awarded at the Forex Expo as the European Broker of the Year 2013. GCI has been operating since 2002. Currently it has around 10,000 clients worldwide, with the largest representation in Russia, Japan and Central Europe. We offer assistance in English, both during account creation, as well as technical assistance during trading or the possibility of consulting in the selection of finances. We work closely with GCI Financial to ensure that our clients' accounts are preferentially created and dealt with all your requirements in the shortest possible time.